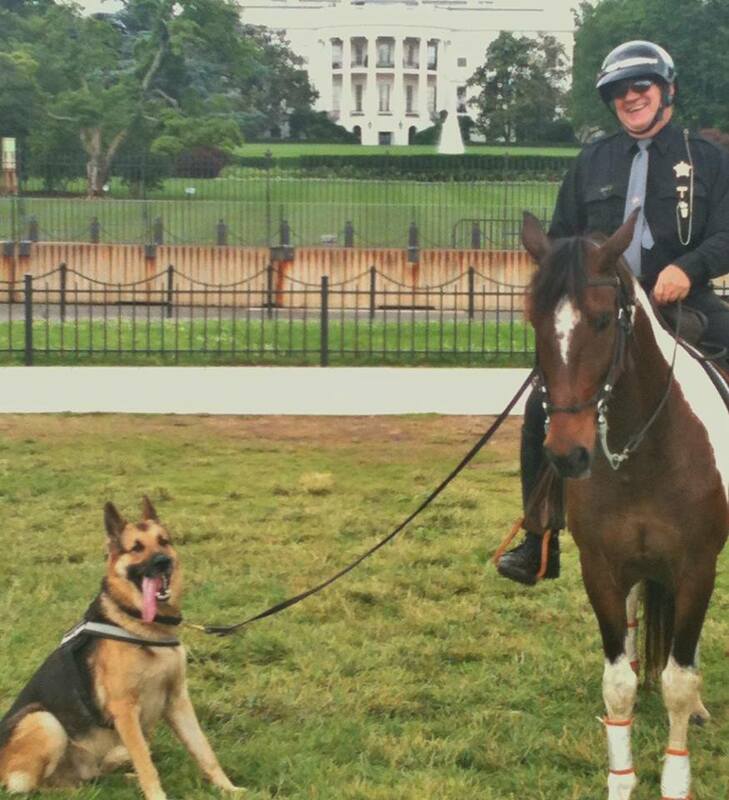 Join us at Free Spirit Farm for our annual De-Spooking Clinic with Bill Richey of National Mounted Police Services, Inc., and his training buddy Radar, Replacement Police Dog in Training! Free Spirit Farm is proud to host Bill Richey of National Mounted Police Services, Inc., for another De-Spooking & Mounted Police Training Clinic on April 27-28. Overnight paddocks and experienced de-spooking riders are also available for hire. Breakfast and lunch is included. Please be prepared to provide a current Coggins (2yrs) and shot record for participating horses. Bill Richey, the founder and CEO of National Mounted Police Services, Inc. is a POST certified mounted police instructor. He was instrumental in creating the mounted units for the city of Duluth, also in Forsyth and Gilmer Counties (Georgia) and training their officers and horses. Mr. Richey has also worked with Atlanta Police Mounted Unit in preparation for the 1996 Olympics and served as the chief instructor for Mobile Mounted Police Mardi Gras School. The clinic will start promptly at 9am. We ask those trailering in to arrive between 8am and 8:45am so we can get the trailers situated. All horses must have current Coggins and be up to date on vaccinations. If your horse is spending the night please bring his/her hay and grain. If you pre package your grain in Ziploc bags with your horses name we will be happy to feed him/her the mornings prior to the clinic when we feed our own horses. You will be responsible for bringing your horse’s feed bucket and for mucking your horse’s paddock. Rakes and wheelbarrows will be provided.